Dropping into the cloud at Wildhorse. Skiing has no meaning beyond itself. Each and every turn is a beautiful self-contained moment, of no consequence. The wind blows, the storm rages, and all evidence fades into obscurity. Who is to really know or care of the things we’ve seen and done. 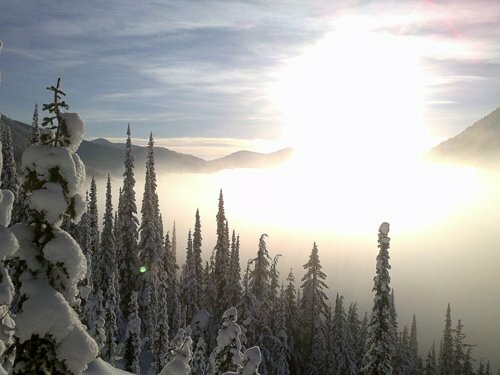 It was in this spirit that a group of Vancouver skiers completed a 2000km ski traverse of BC’s Coast Range, chronicled in this article in mount.ai/n/ . An accomplishment of singular boldness and determination, yet undertaken entirely for its own sake. Undoubtedly these experiences can inspire others in a positive way, as the Long White Line Traverse inspires me 12 years after. Yet it seems the extent to which inspiring is intentional (done with an audience in mind), diminishes both the authenticity of the experience and paradoxically its capacity to truly inspire. As a skier and a blogger, it’s an insight I try to remember, and forget. Certain frenzy comes from your words. Which skiing resorts have you already been to? My favorite in Vancouver is Mount Seymour Ski Resort.